Please join us in welcoming our new practice manager! 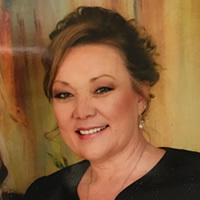 Pam Sejnoha has twenty-six years experience in office management, including five years in the area of Human Services. Pam brings a wealth of understanding and compassion to PBBHW, as well as the commitment necessary to provide both clients and our staff with the support needed to maintain excellent care. Pam is a dedicated mother and grandmother who enjoys time with her family and painting in her free time. PBBHW proudly welcomes Pam to our team.